If you intend to travel to the surrounding places of interest around Hersonissos, you should have a car of your own, so that you can roam around comfortably, independently, and at your own leisure. 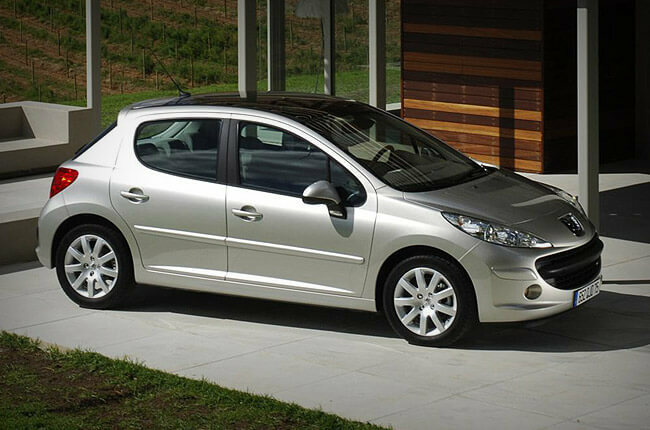 For hiring a car you should contact Rental Center Crete. There are many car hire agencies in Chersonissos comprising of both the local, small companies and the big multinational companies. The local small companies are cheaper than the bigger companies, and offer the same quality of services. Also the local agencies, deliver the car to any hotel, port or the Heraklion airport for free. Rental Center Crete provide quality services at affordable prices. They usually have brand new cars and even the older ones are very well maintained. The car agencies maintain and deploy only those cars that give good performance in tough and rugged conditions, given the mountainous and rough landscape of the Island of Crete. Rental Center Crete in Chersonissos provide you with full insurance and also the most important thing that is the 24x 7 days week road assistance anywhere in the Island of Crete. These features help you feel secure and safe, when driving around Crete, especially in Chersonissos. The local companies have friendly and efficient staff, and it is not uncommon to find the employees of these agencies to know many different foreign languages. All the above features of the car hire agencies help you in interacting with them very nicely, and hence there is a comfort level that is created between you and the agency. Also you should be aware of the late car return policies, the fuel policies, and the insurance related policies of the agency. If you have a small baby or a young child of less than four years, you should hire proper baby seats or child seats along with the car. You should also be aware of the general traffic rules and other surcharges that could be levied at different places. You should always insist on having the GPS system and direction director system fitted in your car, for your convenience and safety. This would prevent you from getting lost in an unknown place. When making your itinerary, you should consider various factors like the distance between two places where you intend to go, the distance from your point of origin and also the amount of fuel that could be consumed. If you have not factored n the fuel consumption, your budget can go haywire. This is important when you are negotiating with the Rental Center Crete. You should also make it clear as to where is your dropping point of the car, if you intend to travel to place other than the point of origin. All these small things can make or break your vacation in Crete.